Congratulations on choosing Teach for America! As you prepare to confront educational inequity, we are excited to equip you with a few critical skills to help you maximize your impact and confidently develop your future students into stronger writers and critical thinkers. Passionate about helping students grow. You can empathize with a diverse range of learners and provide thoughtful feedback that they can use to improve. Reliable. Teachers and students can count on you to complete assignments on time and only accept assignment requests when you know you’ll be able to complete them by the deadline. A proactive communicator. You have excellent written communication skills and tend to over-communicate, especially in remote work environments! Open to feedback and correction. You are eager to continually improve your skills and adapt to the needs of different teachers and students. 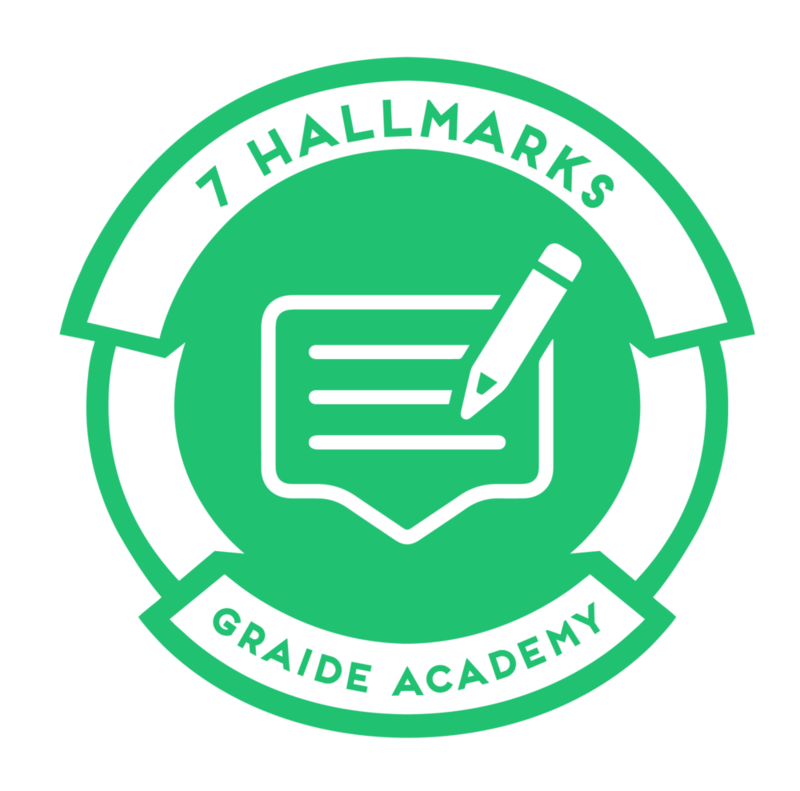 Read on to learn more about this unique, 100% remote work opportunity, the application process, and special access to our top-rated course, "The Seven Hallmarks of Effective Feedback." of TFA corps members say they are highly likely to apply the "7 Hallmarks of Effective Feedback" in their teaching practice. Thank you! Please check your email for an enrollment email with your Course 1 log-in information in the next few days. Graiders grade assignments that are substantive and require high-quality rubric-based scoring and feedback. Most assignments we support are writing assignments for English and Social Studies classes, but we have seen everything from math worksheets to science reports. For standard writing assignments, you'll provide scoring and summary feedback on each student's strengths and growth areas as well as a note for the teacher on overall class strengths and growths. Graiders should be prepared to dedicate at least 10 hours per month. That equates to grading approximately two assignments per month (the average assignment typically requires three to five hours to grade). However, the number of assignments you complete is ultimately up to you. The more assignments you complete, the higher you will appear in recommendations, and the more experience you gain. Enrollment in Course 1 is due by 11:59pm on December 1. You should expect to hear back from us within 7-10 days after completing the course. You are invited to apply to assignments on your assignment board, or may be requested by a teacher. Our recommendations to teachers and selections from the assignment board are based on matching the teacher’s grade level and subject with your grade level and subject of interest. Graiders can improve their rankings with high ratings from teachers, strong track records of experience, and fast response rates. The pay rate for Graiders is $10 per estimated hour of grading for the 2017-2018 school year. Grading time estimates are based on assignment length, any special teacher requests, and time to become familiar with the prompt and rubric. Your first couple assignments may take longer than average as you continue to build your skills. We’re proud to work with undergraduate and graduate students from over 50 top-tier colleges and universities from coast to coast, including Dartmouth, Cornell, UVA, Texas A&M, the University of Chicago, the University of Michigan, UCLA, Pomona College, and dozens more.